Lewis the Lion was in the final week of his adventure around the world and he just couldn’t believe it; just where had the time gone? Whilst in one respect it did almost feel like a year ago since he had left his family and friends behind in England, and on the other, it felt like time had just whizzed by. Time really did seem to be elastic! However, on this his final week he decided it was time to relax, enjoy the sunny weather and write a few more stories for his blog, while thoughts of his recent travels were still fresh in his head. If he were honest, he was a little bit apprehensive about going home. Helen had left her job behind and wasn’t really sure what she was going to do next? Where were they going to live? What was going to happen now? Helen told Lewis the Lion that there was no point in worrying about it when they were still so far away from home. They would deal with the situation when it arose. For now they should savour the moment and learn how to breathe so that they could face whatever came their way when they got back home. It was time to discover another Indian tradition: that of yoga! A short, sandy walk away from the beach, tucked behind some palm trees was a Hatha Yoga centre. This type of yoga is a type of physical exercise which involves controlling the breath, the body, the mind and the soul. In yoga, you try to empty your head of all thoughts and concentrate fully on the given moment, e.g. concentrating on the way the body stretches or rests in different positions. 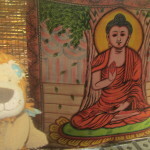 Lewis the Lion found this very calming for the mind whilst recognising that he’d had a good, physical work-out at the same time. His little body felt more flexible and stronger the more he did yoga, that’s for sure! The instructors always used Lewis’ favourite Indian word ‘Namaste’ to start and end the class. They were always very patient and just encouraged the participants to do the best that they could, e.g. holding different stretches. 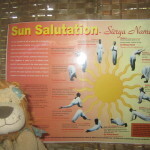 Lewis the Lion learnt a pattern of stretches that was used in most yoga classes called the ‘Sun Salutation.’ (See the photo above). This is where participants move smoothly and swiftly from one stretching posture to the next, starting by standing up with arms raised above the head to even lying on your belly before you return to standing. 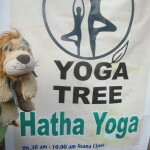 One of the things that Lewis the Lion loved about yoga are the creative names that the different stretch positions or poses have, e.g. ‘downward facing dog’, ‘the warrior’, ‘the triangle’, ‘the tree’, ‘the bridge’ and so on. 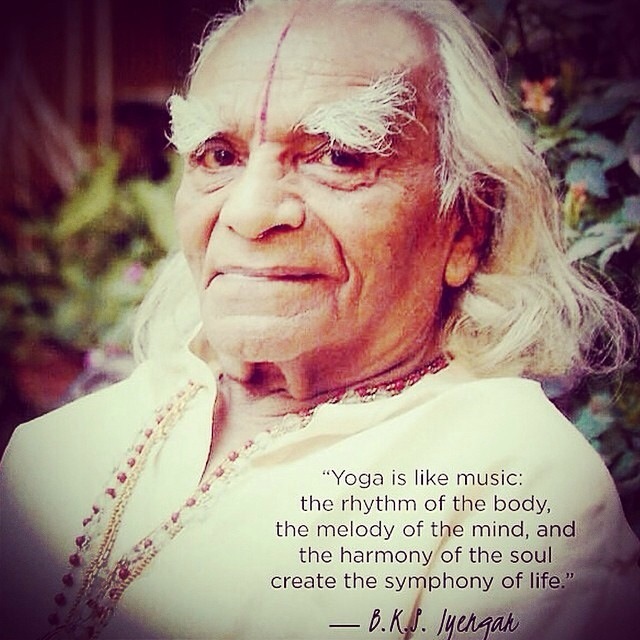 You can learn more about some of the basic yoga poses by clicking on this link. Of course, was it any wonder that one of Lewis the Lion’s favourite poses that came towards the end of some of his classes was called ‘the child’s pose?’ This is where you sit on your knees and stretch your arms (or in Lewis the Lion’s case – his front paws) in front of you with your head resting on the ground. Lewis the Lion was often so relaxed by this stage that he could have quite happily stayed like that for hours. In fact towards the end of the class, Lewis the Lion discovered that often the lights are dimmed, calming music is played and you just simply get to lie down and relax, recognising and feeling all parts of your body working in harmony with each other. He often found it very difficult not to drift off into one of his famous cat naps at this point! Yoga really did seem to offer a wonderful way of relaxing, meditating and being at peace with yourself and the world around you. What a fabulous gift to conclude his worldwide trip. It was simply yoga-tastic! If you could invent your own yoga pose to help you to concentrate and relax, what would it look like? What innovative name would you give it? 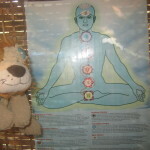 To learn some yoga moves yourself, why don’t you try watching these videos on You Tube called Cosmic Kids Yoga. 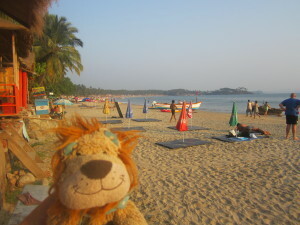 This entry was posted in Lewis' Blog and tagged children's travel blog, educational travel blog for children, for kids, Lewis the Lion, meditation, poses, stretches, sun salutation, travel blog, travel blog to inspire kids, travel stories to inspire children, travel writing for children, yoga. Bookmark the permalink.